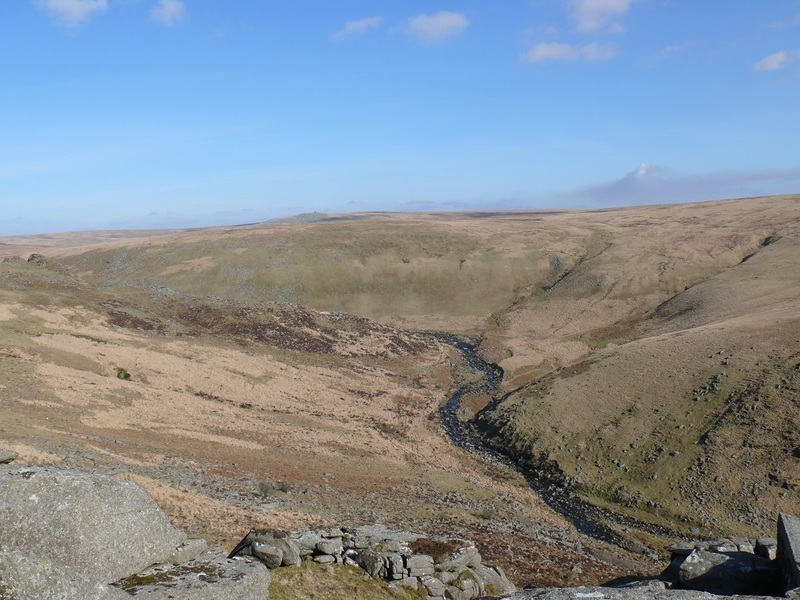 Ger Tor sits on the western side of Dartmoor overlooking Tavy Cleave and the winding River Tavy. 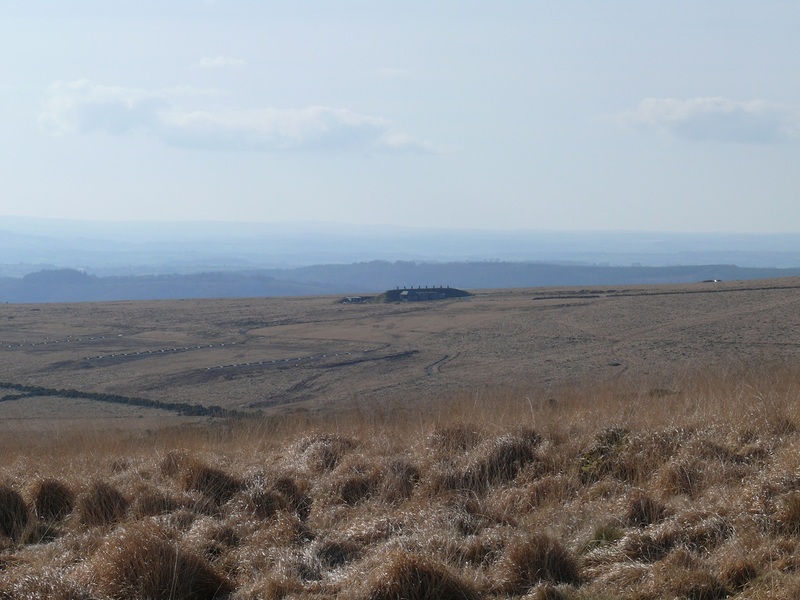 There are steep drops to its eastern side down into the river and good views to the west towards Cornwall. 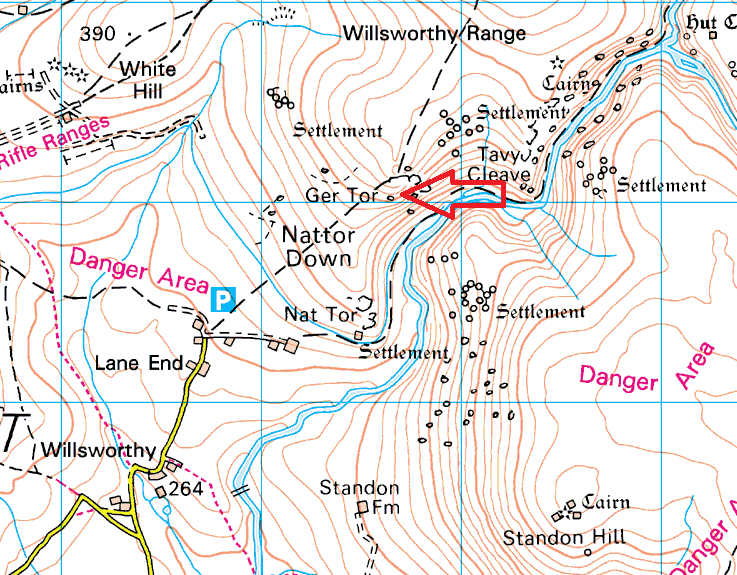 Ger Tor is a simple walk up from Nat Tor and the car park at Lane End. 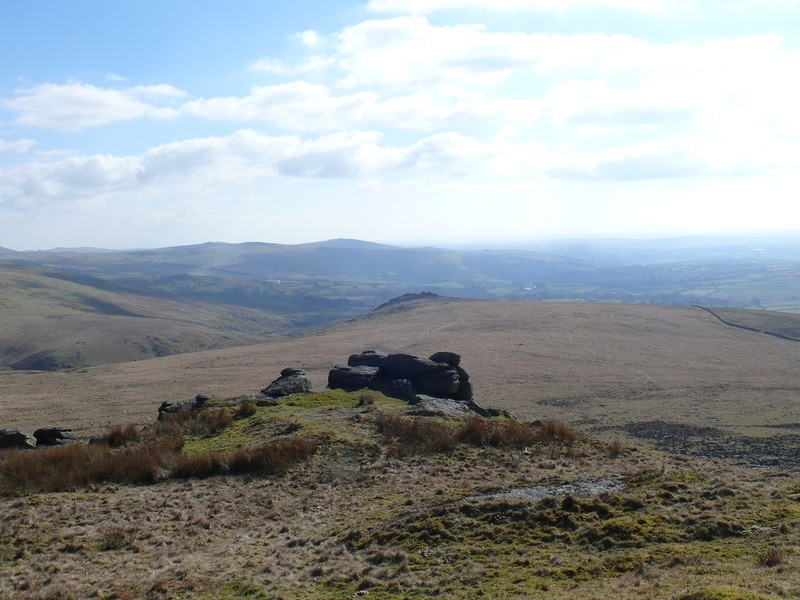 The views from the top to the west are brilliant but it will be the steep drop into the cleave that will grab your attention. 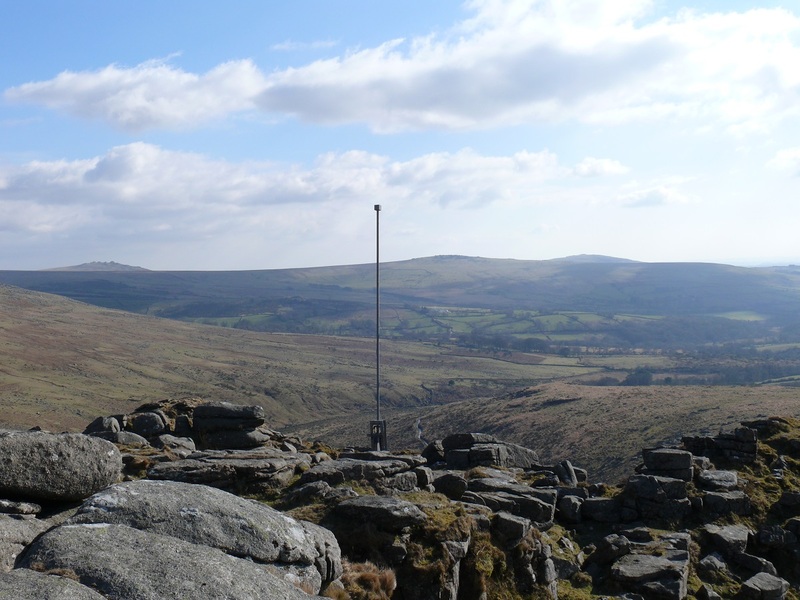 Ger Tor sits within the Willsworthy firing range and has a military marker flag pole and hut to prove it! !